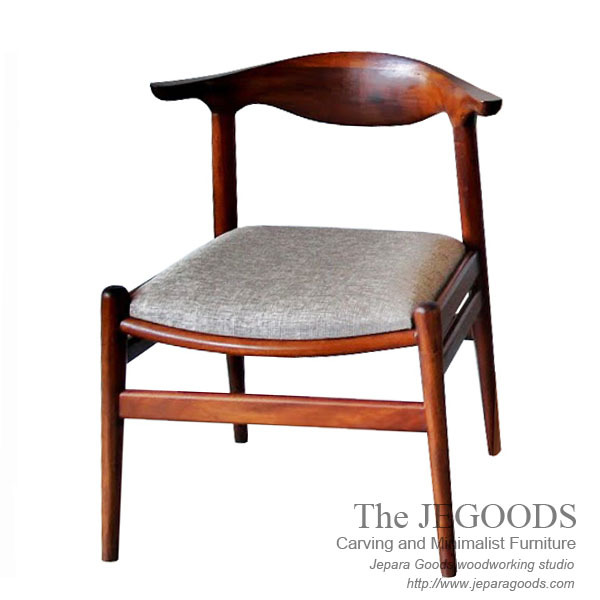 This Scandin Halfmoon Chair is a replica of PP505 Cow Horn chair designed by Hans Wegner in 1952. This original idea has become a characteristic trademark for many of Wegner’s works and one of the most beautiful chairs ever created. We produce and supply many replica furniture chairs made at highest quality furniture by skilled craftsman in Jepara, Central Java – Indonesia.